This handy reference guide makes it easier to access and understand histories written in Greek between 600 and 1480 CE. Covering classicizing histories that continued ancient Greek traditions of historiography, sweeping, fast-paced 'chronicle' type histories, and dozens of idiosyncratic historical texts, it distills the results of complex, multi-lingual, specialist scholarship into clear explanations of the basic information needed to approach each medieval Greek history. It provides a sound basis for further research on each text by describing what we know about the time of composition, content covered by the history, authorship, extant manuscripts, previous editions and translations, and basic bibliography. Even-handed explanations of scholarly debates give readers the information they need to assess controversies independently. 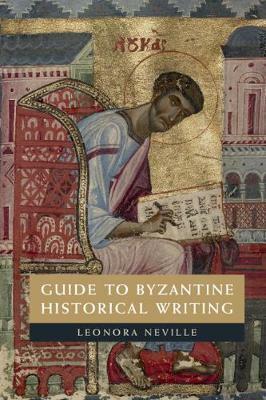 A comprehensive introduction orients students and non-specialists to the traditions and methods of Byzantine historical writing. It will prove an invaluable timesaver for Byzantinists and an essential entry point for classicists, western medievalists, and students.